These appointments are only available at The Sidings Practice in Boston. The appointments WILL NOT be with a GP or ANP from this practice. There will only be a few appointments available to this practice as the service is shared with all 8 Boston Surgeries. Systm Online has now been switched on within the practice. The page you will be directed to is a genuine one and will ask you for a User name and Password. You will need to come to the practice to be given your log in details. You will need to bring some form of photo ID. This new system will allow you to view your Summary Care Record, book / cancel online appointments and order repeat prescriptions. Mr Poole apologises to all those that were on the old repeat ordering system and thanks you for your patience.The new Systm Online is the future and is very much patient focused. The surgery car park is for patients attending surgery only. If you have difficulties parking please report to the receptionist. 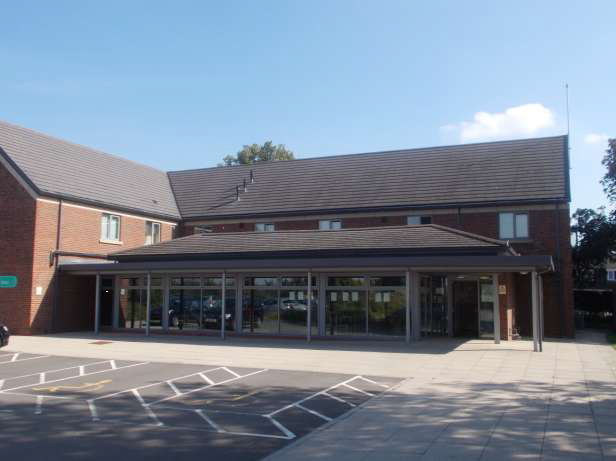 The surgery is fully DDA Compliant with a lift to the first floor, toilet facilities with wide access to accept a wheelchair and helper and a loop for hearing aids. Please be aware that we have been using a new phone system over the past month. It is hoped that this should improve phone answering times. There is a queue system in place so you should never get an engaged tone. As one call is dealt with the system then brings forward the next caller. Please note that in the interest of both patients and staff all calls can be recorded. is a new website from the NHS for patients to access information to help them look after themselves.